Dual-SIM Android phone boasts of a 1.4 GHz quad-core processor. HTC has launched a dual-SIM handset, the Desire 601. 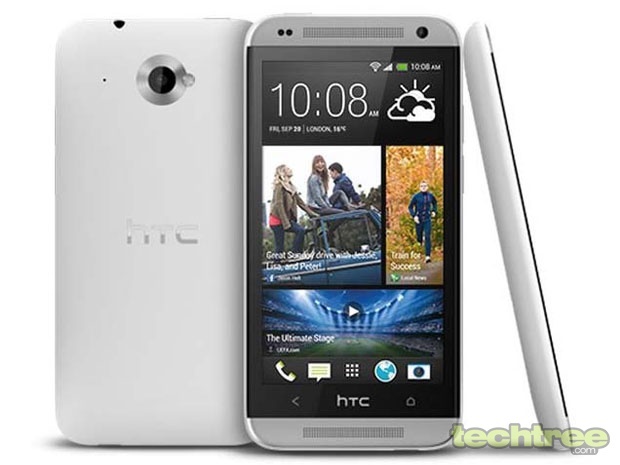 It comes with a 4.5" capacitive touchscreen with qHD resolution and runs Android 4.2.2 (Jelly Bean). It is powered by 1.4 GHz Qualcomm Snapdagon 400 quad-core processor. The HTC Desire 601 sports a 5 MP primary camera along with a 0.3 MP secondary camera. The phone also has a camera function called HTC Zoe photo that clusters a series of photos and adds motion to capture the complete moment. It has an internal storage of 8 GB, with microSD card slot that supports up to 64 GB. The HTC Desire 601 is now available online for Rs 22,390. The Desire 601 seems better in terms of processing power as compared to the Desire 600, but is priced more competitively than the latter. 4.5 inch Capacitive Touchscreen with pixel dimensions of 960x540. Android OS, v4.2.2 (Jelly Bean). 1.4 GHz Qualcomm Snapdragon 400 quad-core processor. 5 megapixel primary camera, VGA secondary camera. Internal storage 8 GB; microSD card support for up to 64 GB.